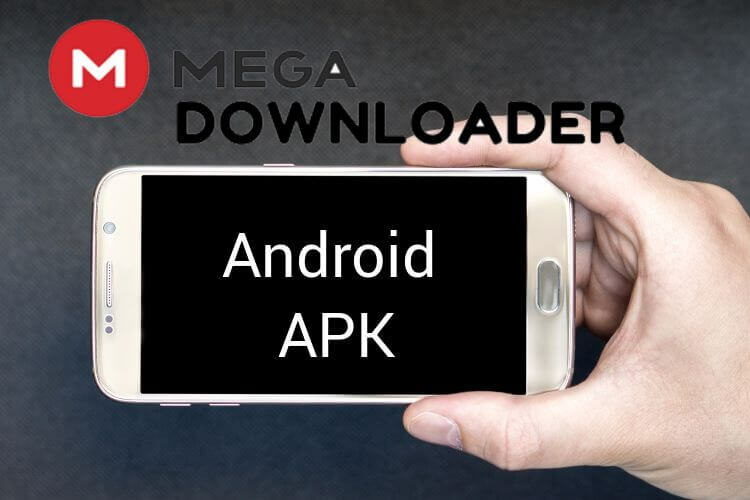 Download the Latest version of the Mega Downloader APK and follow the instructions to get started on how to download Mega files using the Android Version. BTW, why do you need a mobile version MegaDownloader APK? Lot’s of uploads that are stored on Mega.nz are indeed media files, mobile software & games. People are serious about utilizing the advantage of having a 50 GB cloud with them. But, don’t want to rely on browser download mode that Mega offers when looking to download a file. As per now, there’s no iOS version available and I don’t think it’ll go into the Appstore after making one. Because Apple’s rules are very strict and these kind of Download Managers are very likely to be seen in their store. Let’s just not deviate from the main topic. 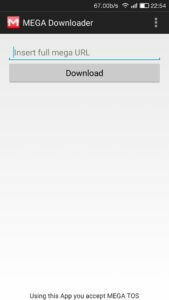 Download the latest version of MegaDownloader APK for Android Devices from the download link below. The current latest version of MegaDownloader APK available is v1.1.1 and the app is very clean and less sophisticatedly built as of now. I hereby want to quote that the development is still in starting stages. And want to inform that the app might improve down the road with all the available features that PC Version of MegaDownloader offers. Here you’ve to enter the desired URL of the download link and then below you’ll find a Download button to initiate the download. Another drawback of using this is that it doesn’t even have a progress queue. So we can’t even monitor the download process or sometimes we even doubt whether it’s actually working. Criticism apart it works perfectly and at the end, you’ll be returned with a path of download location where the file is stored. Like all the tools discussed until now here on the blog the Android version also doesn’t have the ability to prompt for a decrypted key. If the key is not present in the URL. And, we’ll update the download links with newer versions of the Android APK as soon as it is available. That being said, if you’re trying this for the first and haven’t noticed the key points above-mentioned. Then again, No decrypted URL of mega works in this and There’s no full detail on whether this bypasses the Mega Bandwidth limit on Android? I strongly doubt that considering the minimal features but an update on the guide is coming soon. We’ll update about that here itself, so stay peeled. DISCLAIMER: The Following file is the property and trademark from YaGO, all rights reserved by YaGO. If the download infringes your copyrights, please contact us, We’ll delete it ASAP.